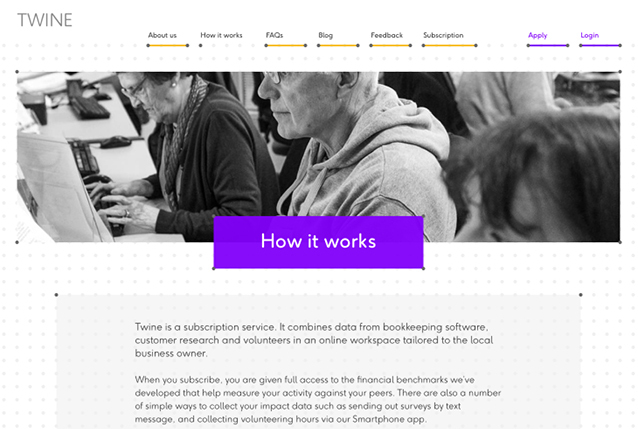 A simple web platform and app aimed at community businesses. 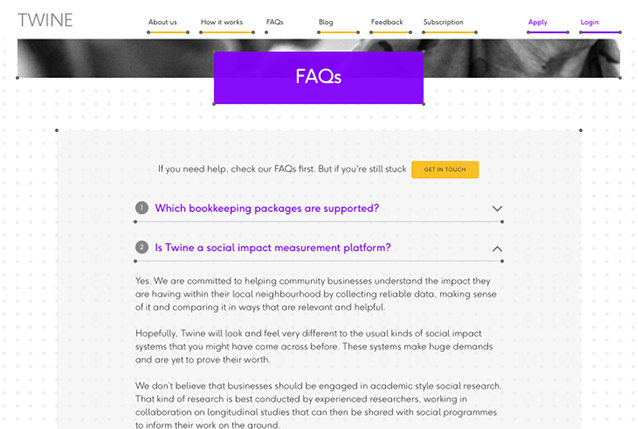 Twine is designed to help organisations measure their economic, social and community impact more easily and effectively. 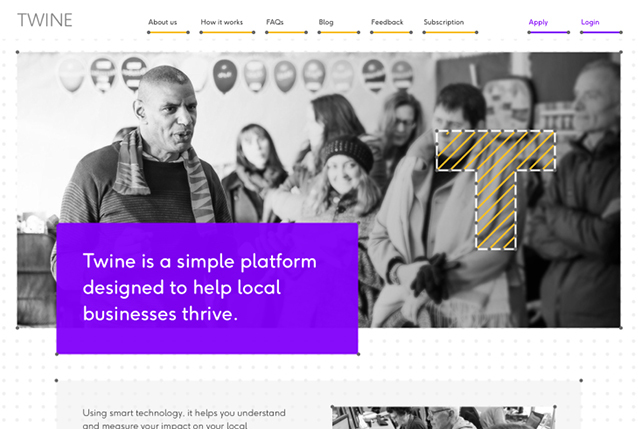 Working with Supple Studio, we worked together to name the app, devised a brand voice and went on to write and edit website copy in the voice.